A forum for restorers, collectors, drivers and enthusiasts! Is your 320 water temp gauge off scale and reading too high or low? I am doing some gauge maintenance and here are some pictures of the gauges. 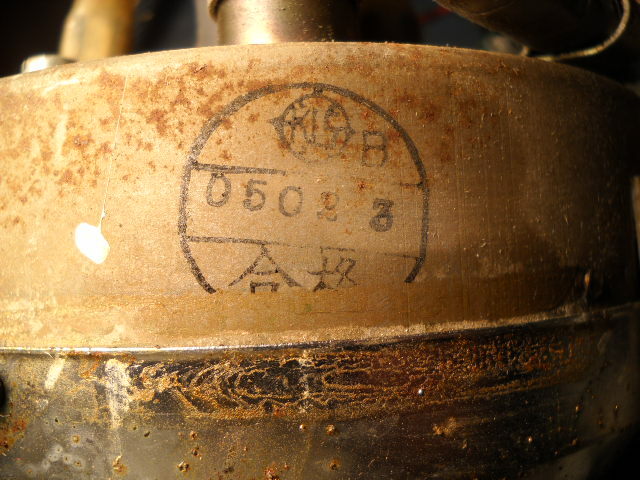 The little hole on the outside edge of the back of the temp gauge has a tiny star wheel that can be turned to raise or lower the needle reading on the gauge scale. The wheel can be turned with the gauge in the dash with the right pick tool. Not as easy in reality as theory due to the wheel being stuck in place after 50 + years of age, but if you have the gauge out of the truck you possibly can free up the wheel. 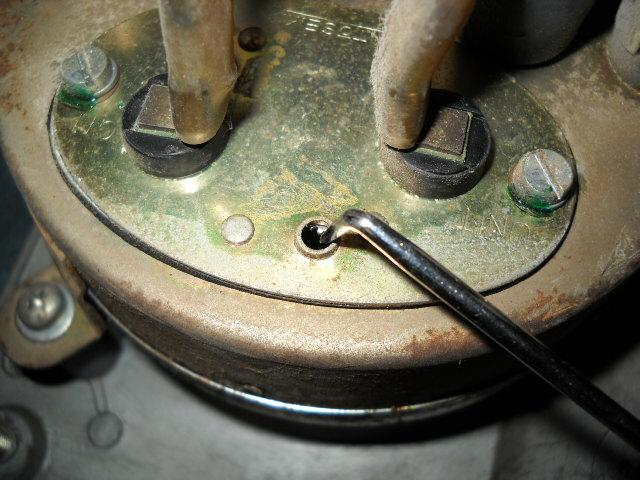 When removing the gauge pod try to keep the gasket whole. Apply mild heat at the star wheel area and lube can be sprayed inside gauge pod from the needle opening. 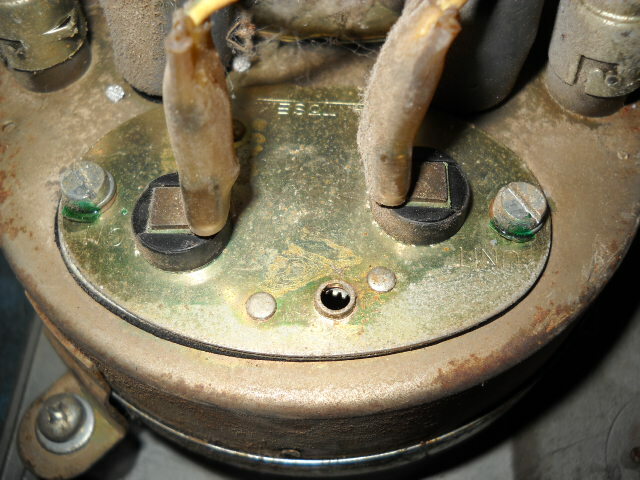 The gauge pod does not open easily but it can be separated at the copper folded tab rivets. If you can free up the wheel reinstall the gauge and make the adjustment while the truck is running so you can set the needle where you want it to read at idle temp. OR, you can test it with the temperature probe, a thermometer, and a pan of water on your stove for additional accuracy. 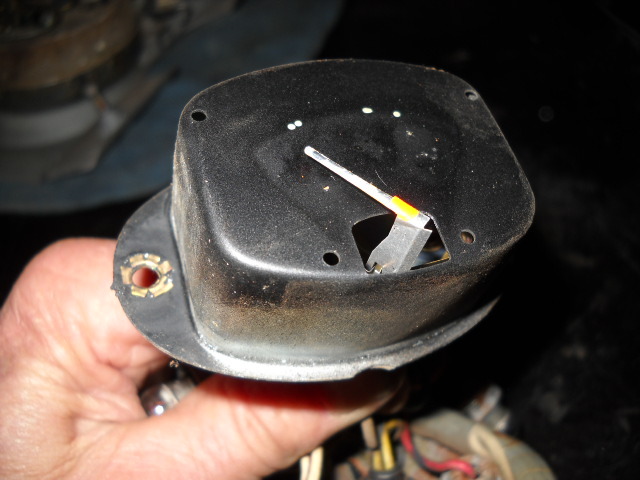 The gauges in the 60’s Datsun vehicles were dated. 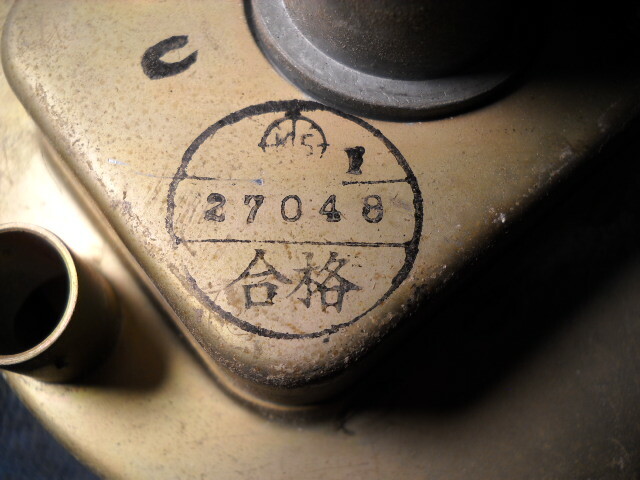 The pictures show the build date in the European day-month-year format (DD-MM-Y). 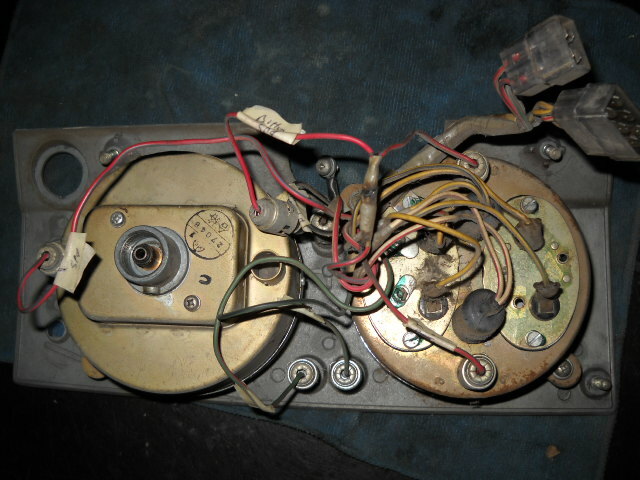 Note the speedo shown has 68 date (8) indicating it was a post production replacement part.